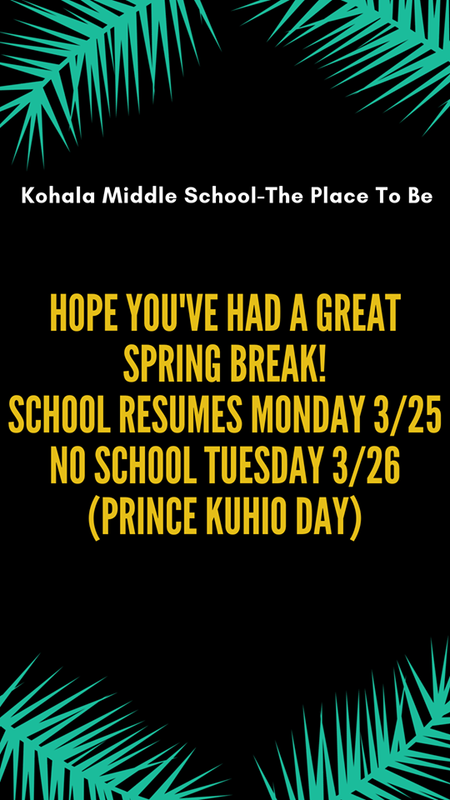 After consultation with DOE Complex Area Superintendent Art Souza and the Kohala Police Department, all Kohala Schools WILL be in session tomorrow, Monday March 25. In light of recent events involving a fugitive in the Kohala region, the police department will have an increased presence around our school campuses. The safety of our students, families, teachers and staff is first and foremost.